​Once payment has been received we'll be in touch via email with your log in details. Please ensure you keep an eye on your Spam folder just in case our email doesn't arrive in your inbox. Level 3 Diploma ​in Funeral Celebrancy - Qualification number 601/1587/7. Level 4 Awards in Creating & Conducting Child & Baby Funerals - Qualification number 601/2153/1. 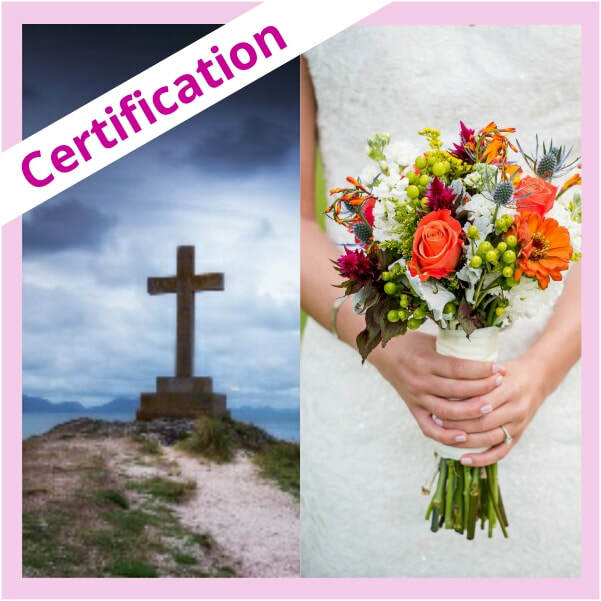 Level 3 Diploma in Naming and Couple Celebrancy Training - Qualification Number 601/1586/5. Our own training certification is for everyone who would like to create and lead their own ceremonies.